Crayon Cakes ask me to create simple fancy logo. Here is the result, Crayon Cakes text cake formed. For blog design, she likes scrapbook style with cakes accessories in pastel color. 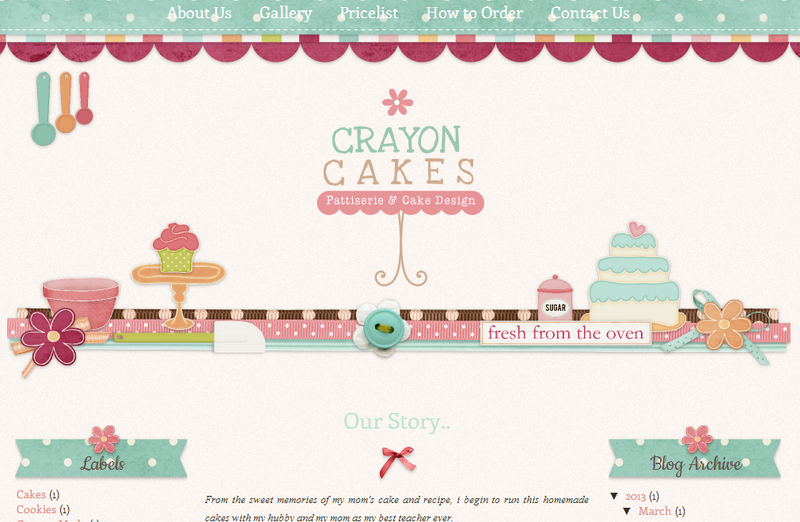 3 columns layout, cakery header background, and also cute sidebar title background. So organic! I like it! how can I download? where's the link? macam mane nak edit HML untuk yang ni ? Really nice! I also have a food blog http://fragolaecannella.blogspot.it/ and i think your work is fantastic!! would you mind to gimme the XML please?? can you tell me how to download it? please? Hello! I would like to load it!!! Please! How can i download this template?? I want it!!! Give me a way to load it!